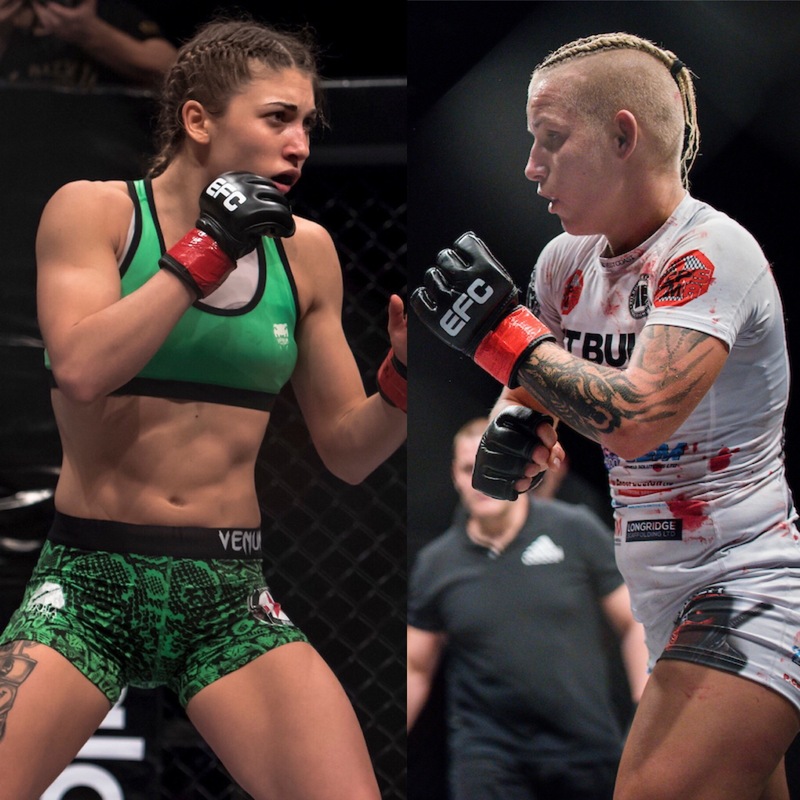 Pretoria, South Africa – Just under two weeks out from the final EFC event of the year, and USA’s Cheyanne Vlismas has been withdrawn from the EFC 76 main event title fight against the champion, Italy’s undefeated Chiara Penco. Ultimate warrior, Poland’s Karolina Wójcik has stepped-up on short notice to challenge on Saturday 8 December. Live from Time Square, Menlyn Maine, Pretoria. Vlismas has been withdrawn due to medical complications in the lead-up to fight night. While it is unclear as to her diagnosis currently, her blood samples have been sent for testing. Doctors have advised that it would not be safe for her to continue training, cutting weight and fight while still recovering. Wójcik debuted in the Fight of the Night against Vlismas at EFC 74, losing via a close split decision. Earning her the respect and loyalty of the EFC fans around the world. She vowed to be back, to show her devastating KO power that she has become renowned for. Now her opportunity comes earlier than expected. The England based athlete, will no doubt be looking to put her opponent away. Not wanting to risk leaving it to the judges a second time. Penco captured EFC gold to become the first EFC women’s strawweight champion in March this year. Over a grueling four rounds Penco maintained her one-hundred percent submission rate by fracturing her opponent’s face with strikes and eventually winning the championship against Danella Eliasov by submission. 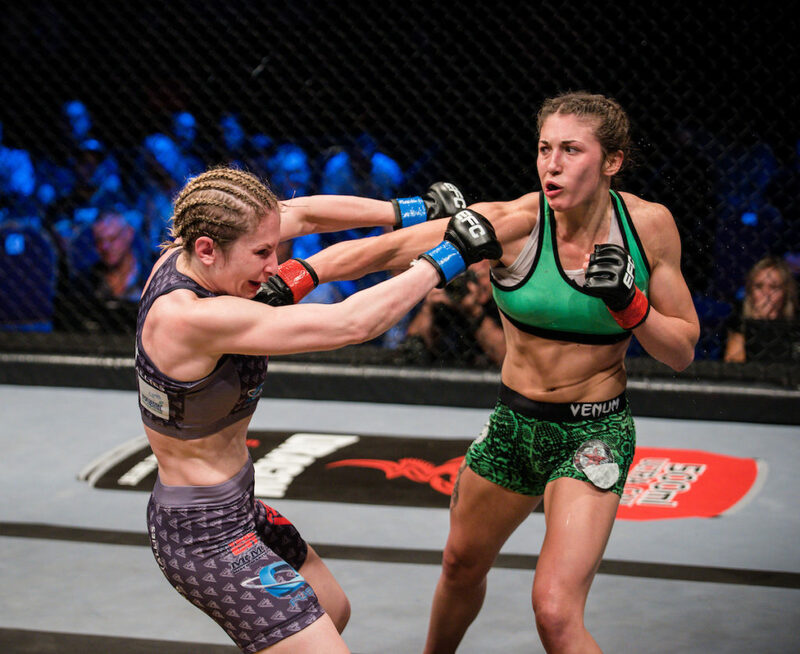 While waiting for a viable challenger within EFC to emerge, Penco went on to fight in her home country of Italy and added another submission victory to her record. Fighting out of Rendoki Dojo in Livorno, she brings powerful boxing and an aggressive submission game and is always on the hunt for a finish. These two warriors will collide in the main event just after the interim EFC heavyweight title fight between South Africa’s Ruan Potts and USA’s Jared Vanderaa and 4 more exhilarating main card fights.